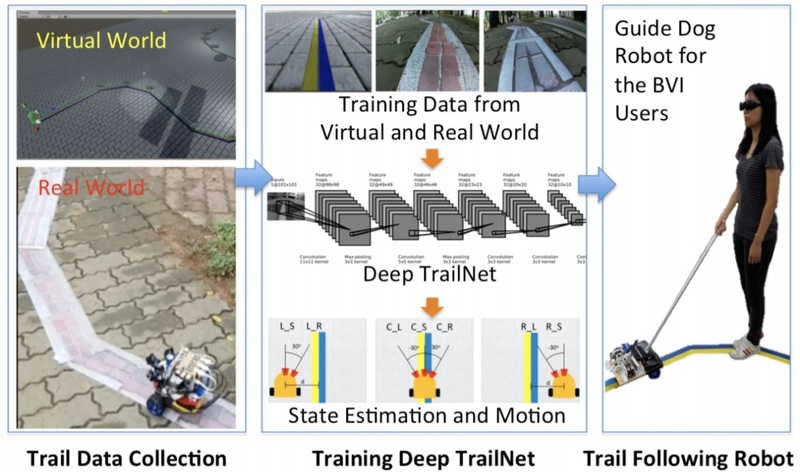 We develop the robotic guide dog which used a vision-based learning approach to autonomously follow man-made trails on various terrains of general pedestrian environments to enable independent navigation for people who are blind or visually impaired (BVI). 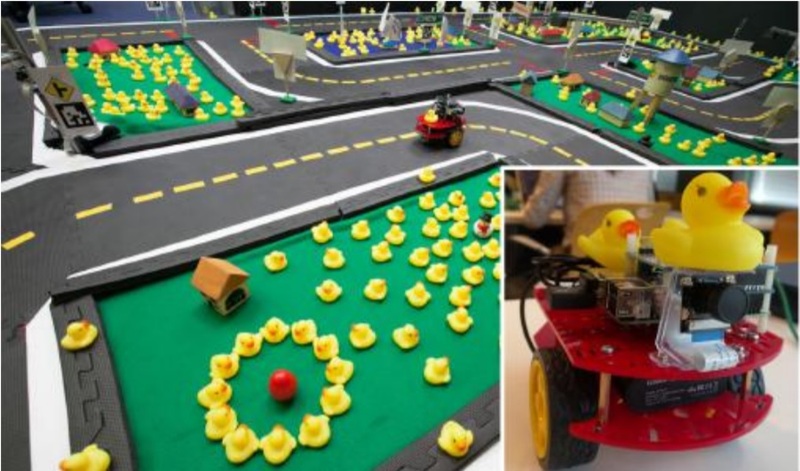 In Duckietown, inhabitants (duckies) are transported via an autonomous mobility service (Duckiebots). Duckietown is designed to be inexpensive and modular, yet still enable many of the research and educational opportunities of a full-scale self-driving car platform. Where can you more likely find text? Do you read “butter” when you read “butterfly”? Or “馬” for “馬虎”? Can you read these sentence?